Monday evenings, around 8:00pm, join Deborah Hanlon LIVE on Facebook. 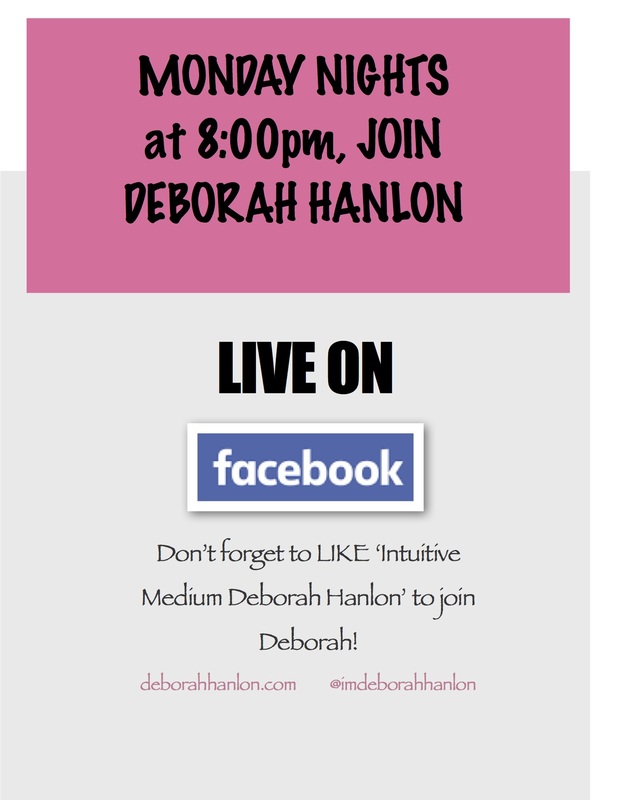 Log on and ‘like’ her page ‘Intuitive Medium Deborah Hanlon’! Listen to her stories, she’ll answer your questions, fill you in on what’s happening at The Center, when she’s ‘on the move’ and more!